Brendan Rodgers felt Liverpool were unfortunate not to take more than a point from Goodison Park after taking the lead in a 1-1 draw with Everton in Sunday's Merseyside derby. The Reds marked an encouraging first half on the other side of Stanley Park with an opening goal through Danny Ings on 41 minutes, the striker nodding in James Milner’s corner. But their advantage did not survive long as Romelu Lukaku capitalised on Emre Can’s attempted clearance inside the area to thrash the hosts level before the interval. Rodgers reflected at his post-match press conference: “I thought we were clearly the much better team in the first half. “We had a couple of opportunities and then went in front, deservingly, and maybe could have been one or two more in front in the first half. “We conceded a disappointing goal, a little bit of luck went against us. A cross comes into the box and Emre Can makes good contact on the ball – probably nine times out of 10 that goes out for a throw-in and it’s good defending, but it hits Martin Skrtel and off [Mamadou] Sakho and falls perfectly for Lukaku, who finishes it well. “Second half, you would expect Everton to come out, with us being the much better side, and we then had to show our defensive quality. “I thought the players were very good in the second half defensively and a threat on the counter-attack. All in all, I’m pleased with the performance. Among the manager’s second-half alterations was the withdrawal of Lucas Leiva for Joe Allen, which he confirmed was due to the Brazilian having been booked earlier in the game. 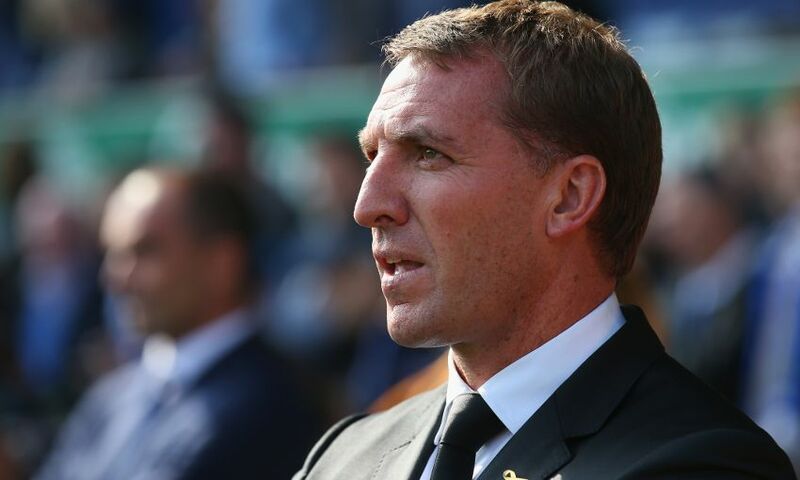 “I didn’t want that to happen,” Rodgers said of a potential second yellow for the midfielder. “Just because of the intensity of the game, sometimes it can happen unfortunately. Lucas was on a yellow card and I certainly didn’t want to finish the game with 10 men. Liverpool have now won one and drawn five of their last six fixtures in all competitions. Asked if he has observed progress in his team during that run since a defeat by Manchester United last month, Rodgers insisted improvements are being made. He said: “At the beginning of the season, we had to look at being a cohesive unit again. “Towards the end of last season, our mentality and everything cohesively about a good team wasn’t there. So we entered into the first couple of games and kept clean sheets, but weren’t the attacking threat we wanted to be. “I think slowly – and we mustn’t forget we’re losing important players as well [to injury] – I can definitely see us coming together more as a unit. As each game goes on, that’s becoming better. “I think we lacked creativity at the beginning of the season, I made that clear – we needed to be more offensive whilst keeping the balance tactically defensively. “As each game goes on, we can start to see that. Hopefully come the end of the season, we’ll have made enough improvements to arrive to where we want to. “It’s been a tough fixture list for us away from home, and apart from the Manchester United game where we were disappointing, I think we’ve looked solid and looked a threat. “If we can cut out mistakes, the Norwich game we could very easily have won 1-0 but we defended not so well from a corner.